A former cult video store manager turned guerrilla film-maker and B film detective goes looking for the two-foot-nine James Bond of the Philippines. 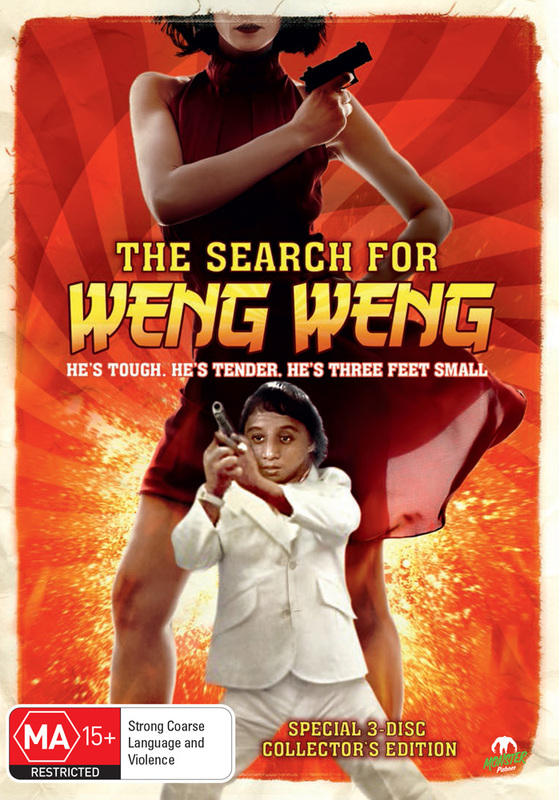 It sounds like the bizarre plotline of one of Leavold’s most favoured cult films, but in the case of his documentary feature The Search For Weng Weng (2013), reality does indeed kick fiction in the nuts, then runs between its legs. With Weng Weng’s real story buried under more than thirty years of faulty memories, urban myths and forgotten pop culture, it seemed a Herculean task. Was he really a black belt, super-spy, stunt king, ladies’ man, living saint, and plaything of the Marcos family? What was his real name, how many films did he make, and was he possibly still alive? It took Leavold seven years to complete the film, against seemingly impossible odds, and then screen the film all over the world, including Weng Weng’s front yard. But that was just the start of the story. 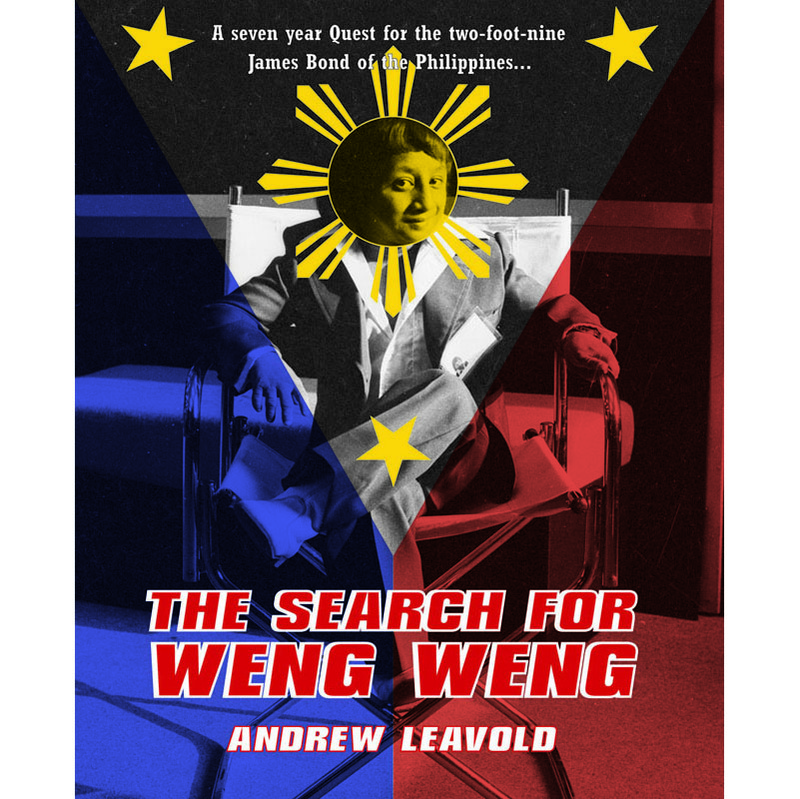 This book is the definitive search for Weng Weng, an even wilder and woollier tale told by the film-maker himself, as he travels from Imelda Marcos’ birthday party to the poorest slums of Manila, on the trail of one the Philippines’ most unlikeliest heroes – and most heartbreaking stories. Weng Weng’s tale of exploitation, greed, and fragile humanity is pieced together fragment by tantalizing fragment, all the while revealing a detailed, never-before-told history of the Filipino Action Film, as told by a cast of actors, stuntmen, Weng Weng’s family and colleagues, historians, midget waiters, and Imelda herself. Plunging head-first into the heart and soul of the Philippines’ culture and history, Leavold also tells his own story of transforming his own life from fan to film-maker, all the while experiencing the most surreal adventure of a lifetime. It’s part detective story and midget bio, part gonzo travelogue, part Filipino B Film history lesson, and part magical Quest for the Holy Grail – if the Grail is a two foot nine James Bond of the Philippines.